As with most paranormal groups ours started with watching the Ghost Hunter show when it first started 11 years ago. We all met and became members of one of the first paranormal groups in Arkansas. We then started our all female group in 2008. What happens in 10 years of investigating? Everyone goes through a transformation of some kind, seeking the truth, trying to figure out why they're so fascinated with the afterlife. For me it was a more spiritual transformation, for I know that mixed in with the ghosts, shadow people and the darker side of the paranormal, you have the light. Spirits that are not "ghosts" but visitors, I recorded a spirit that once said, "they come and go." It has nothing to do with a haunting and everything to do with our loved ones, friends and spirits that are here to help us. So you have two entirely aspects of paranormal investigating, the "ghosts" that choose to stay and not move on and the spiritual "helpers" that could be anyone connected to you, group members, the location or owners. as important as cleansing and protecting the living. world is perhaps the most terrorizing experience a human can have. Compassion has a deeper meaning to me now for those who have had these type of experiences. paranormal experiences in their life. 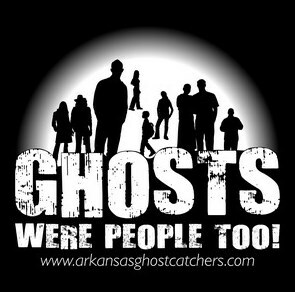 ©2008-2017 Arkansas Ghost Catchers. All Rights Reserved.